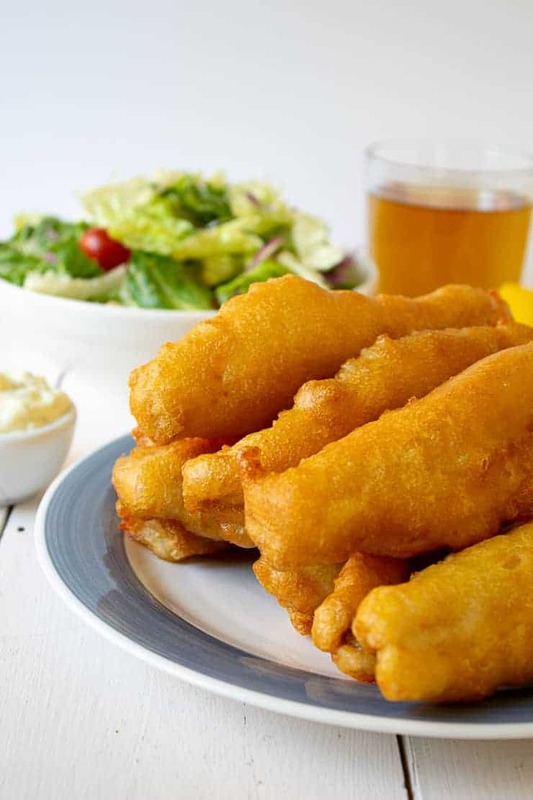 Beer Battered Fish with a crispy coating and light tender fillets of fish. 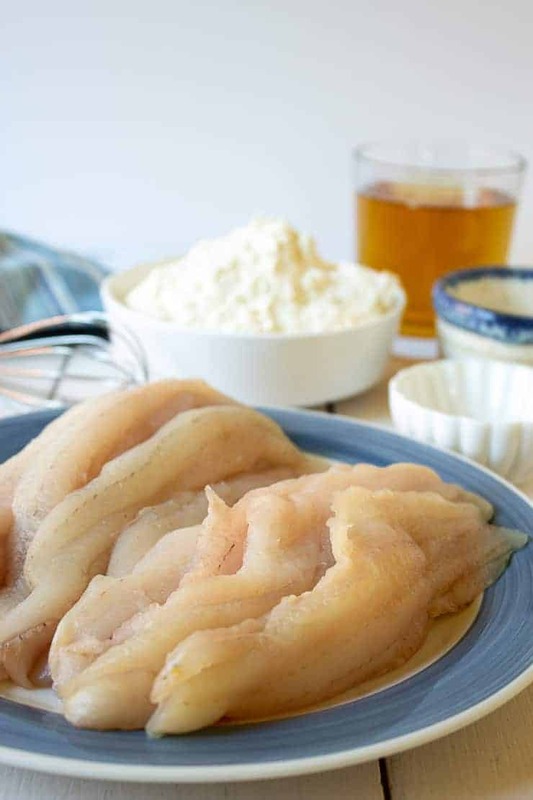 Beer Battered Fish is one of our favorite ways to make fish at home. 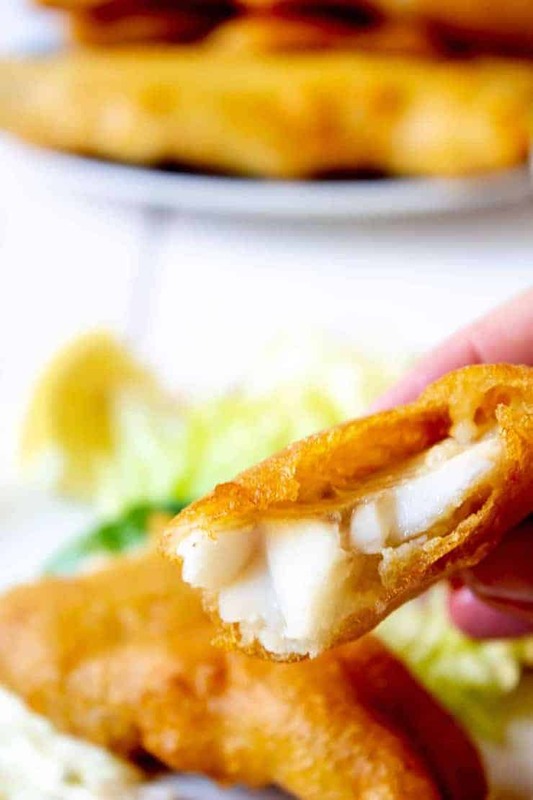 Who can resist that crunchy coating and the perfect flaky fish? Not me! We have a summer fishing/camping tradition. 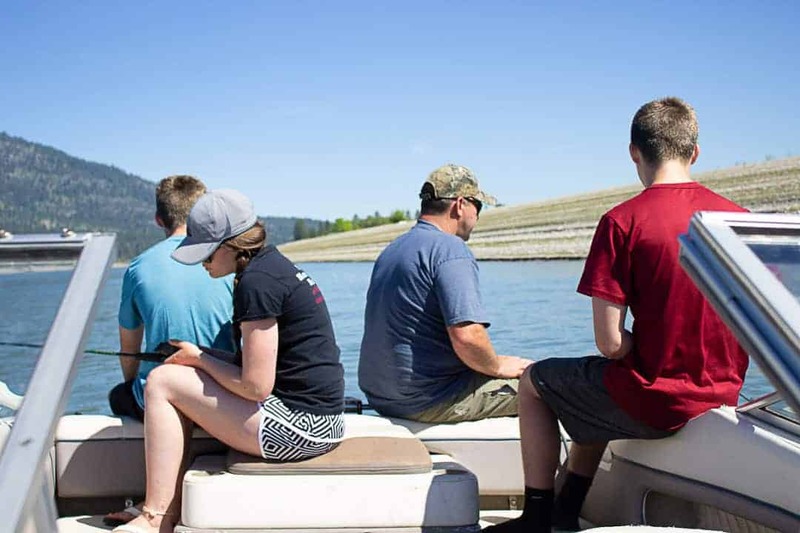 We always spend one weekend on Lake Roosevelt, on the Columbia River camping and fishing. We have several families that go together. There’s a core group that’s always there, but we always have a few more families that are able to join us each year. This year there were a total of 15 of us. We go for the fish – Walleye, but it’s also about having a great time and hanging out with everyone. 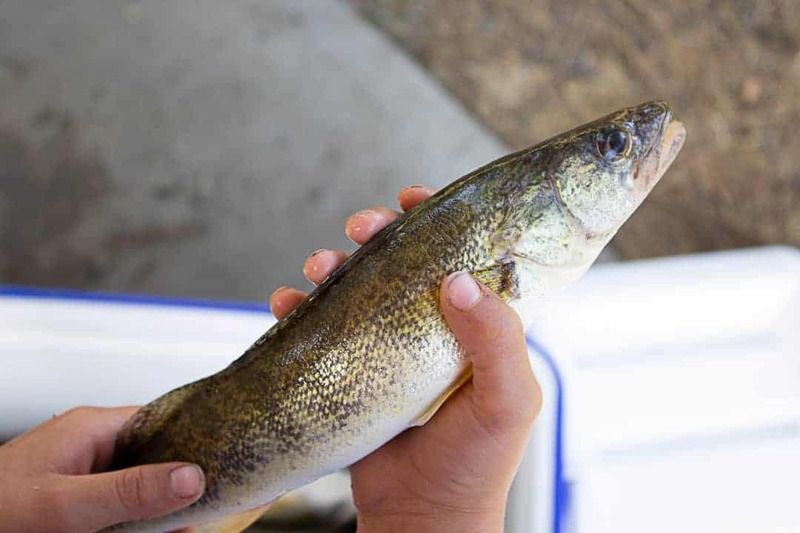 Walleye are a tender fish and need a net in order to bring them into the boat. Otherwise they tend to fall off the hook just as you bring them out of the water. Sometimes the fishing gets a bit slow. 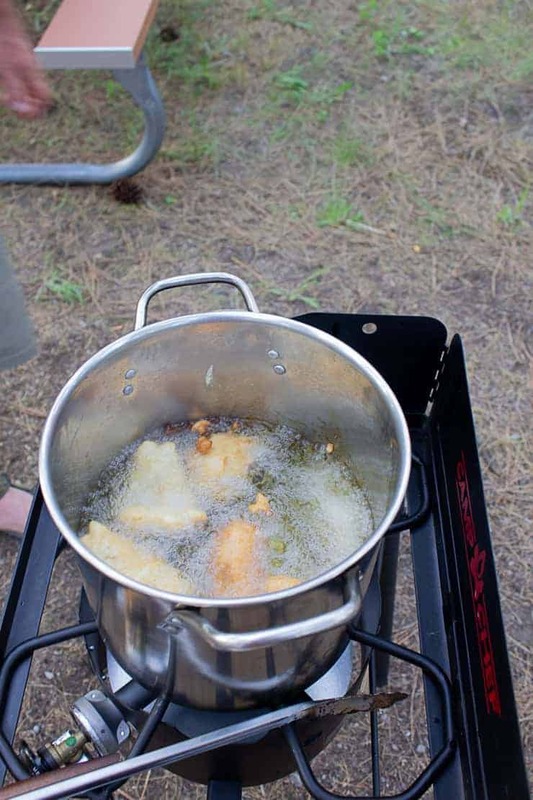 Some years the fishing is better than others, but we always catch enough to have a huge fish fry back at camp. 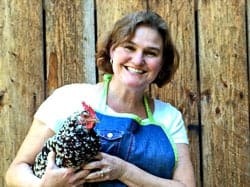 Most years we also have enough to bring back home and stock our freezers. 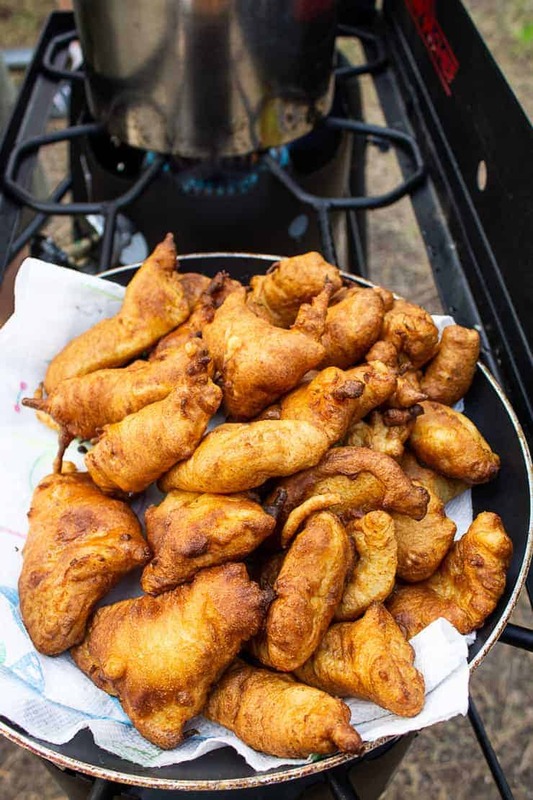 I use the same recipe for making beer battered fish at home as I do at camp. 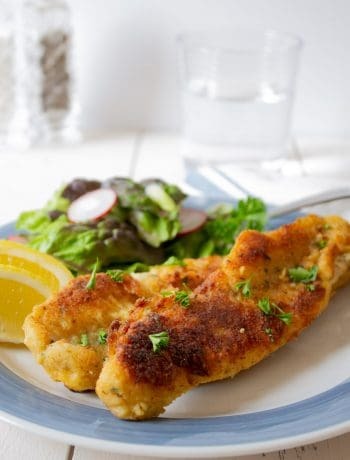 I also make this pan fried Walleye with the frozen fish. Since I’m never quite sure how much batter we will need at camp, I mix up all the dry ingredients and place in a zip top bag. I mix one batch in each bag and I usually bring 3 or 4 bags with me. At camp you just add beer until the mixture is the right consistency. You could just mix right in the bag and have one less thing to clean up. We usually dump the dry ingredients into a big bowl since we do so many fish. Rod is always our fish fryer at camp. And he cooks up a ton! At home, we use the same method – just in smaller portions. 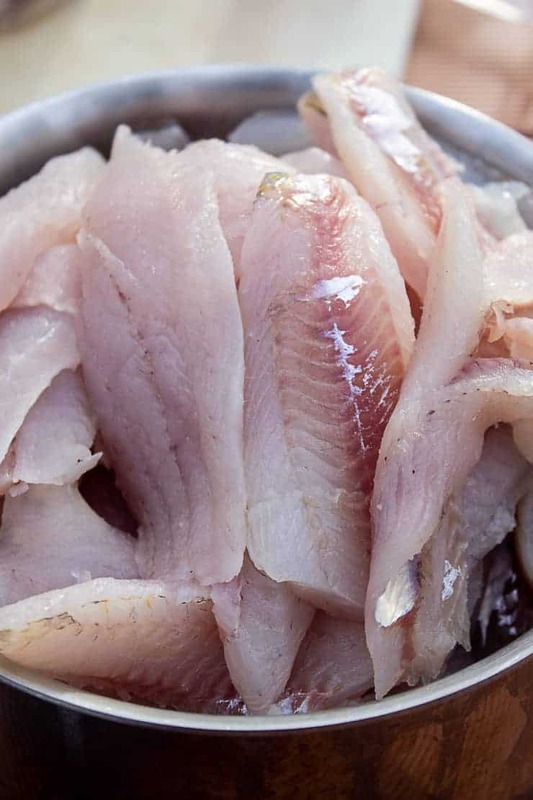 If you don’t have walleye, any light white fish will work – cod, haddock, halibut and flounder are good choices. What type of beer is best for Beer Batter? You can use any type of beer for beer batter. I like to use a light pilsner type beer because I don’t want a heavy tasting beer in my batter. What goes well with Beer Battered Fish? We keep it pretty simple when eating beer battered fish. We often just have a crisp green salad or a coleslaw or even a couscous salad. Onion Rings would also be delicious with this fish. 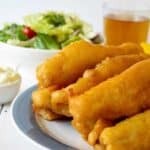 Beer battered fish with a crunchy coating and tender flaky fish. Mix dry ingredients together in a bowl. Add beer and stir. Mixture should be like pancake batter. Add 1 1/2 -2 inches oil to pan. Heat oil to 375 degrees. Pat fish fillets dry with a paper towel. 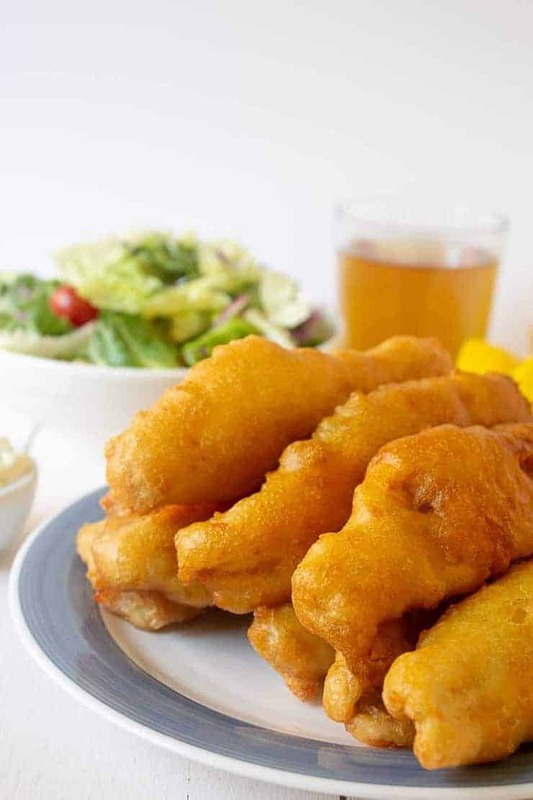 Dip fish, one at a time, into beer batter. Add to heated oil. Cook 3-4 pieces at a time so pan is not overcrowded. Cook 2-3 minutes per side. Place cooked fish on a baking sheet lined with a baking rack. Place in a preheated 250 degree oven to keep warm while remaining fish cooks. Repeat until all fish is cooked. I use Walleye fish, but any light fish will work. Use a light pilsner beer. This recipe makes a large amount of batter. There is enough to dredge all fillets and there will be extra batter leftover. Beer and fish. What a good idea. 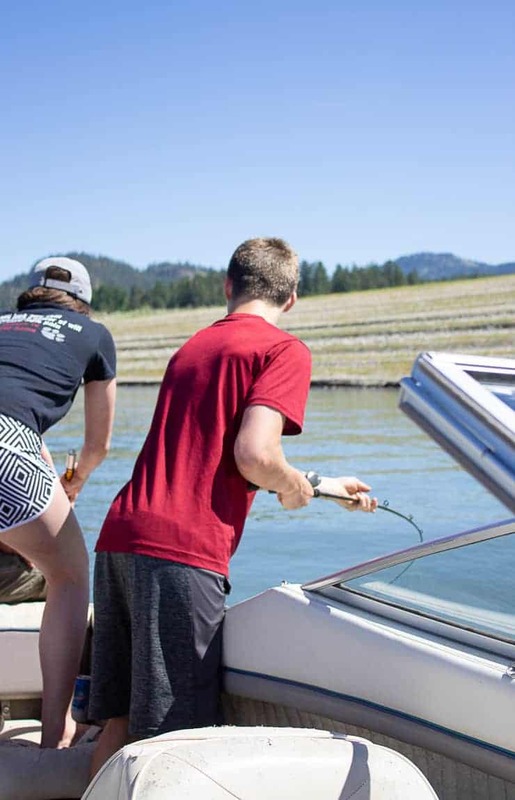 Catch the fish while drinking a beer, then follow your recipe. Wow these look so delicious! Yum yum yum! Never heard of walleye either! But I’m sure the recipe works for any type of fish. Thanks for sharing! You can use almost any type of fish as long as it’s mild tasting and holds together. How fun! I have only been fishing once when I was about 13. My step father would go almost every weekend, my mother agreed to it once and never again… Too bad, I remember us children having fun. Your beer battered fish looks perfect, better than any fish (and chips) I have ever had when in the UK. And I am so sure it taste like a million times better. Fishing is fun, especially when the fish are biting! I have never heard of walleye fish before, but then again, I’m no fisherman. You must get lots of fish filleting experience! 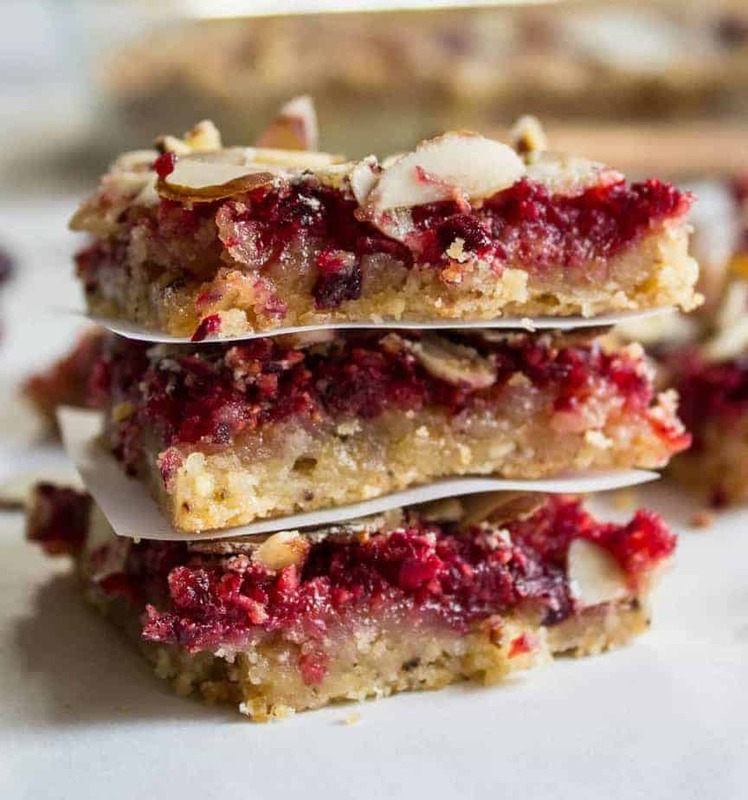 Hard to believe that such a simple recipe could be so delicious! I love fishing trips with the family Kathy. Our boys used to go crazy when they were little when they caught a fish! Love this beer battered version. Can’t wait to give it a try. OH MY GOODNESS! This is a dish I can never resist! So crunchy and flaky! Great post, Kathy!